This lavishly illustrated book begins by picturing the painter working intensively for his latest exhibition. Illustrations, combined with text reveal the way in which his ideas take shape through drawing in the landscape and show how these drawings become the seed corn from which he composes the knife paintings that have made his name. The book describes how the imperative to produce a body of work for an annual exhibition has shaped his life, and how his travels and charitable activities fit around these exhibitions. It dips into his past life to recall formative events and provides valuable information about current working practice. It gives a fascinating insight into the artist/dealer relationship and the running of a Fine Art gallery. 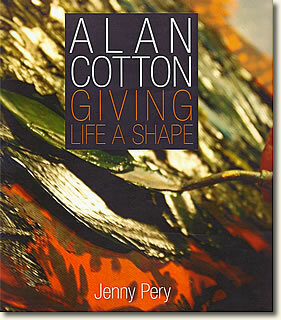 With interviews with collectors and reminiscences with friends, as well as pithy commentary from Alan himself, this book gives a comprehensive overview of Alan Cotton's work through more than three decades and also contains much of interest for the would-be-painter.